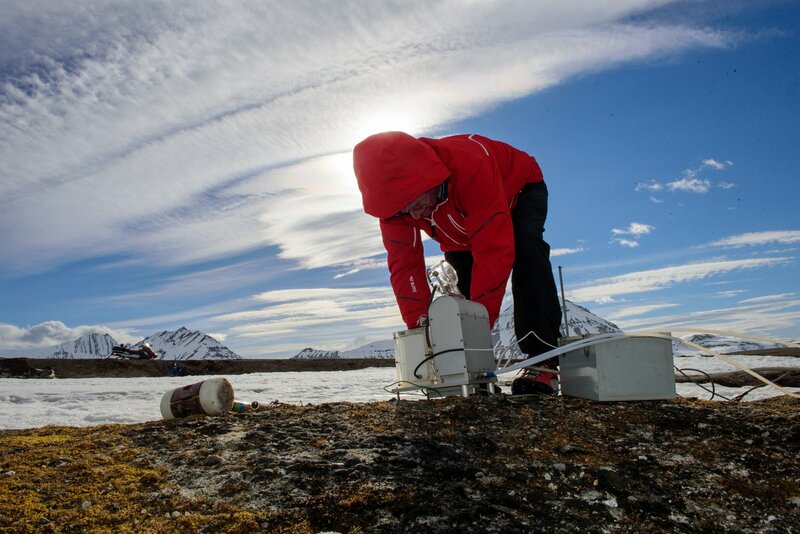 Our project aims to assess the biodiversity, genetic diversity and ecosystem resilience of cyanobacteria and eukaryotic green microalgae of BSC isolated from the Antarctic Peninsular and Arctic Svalbard. 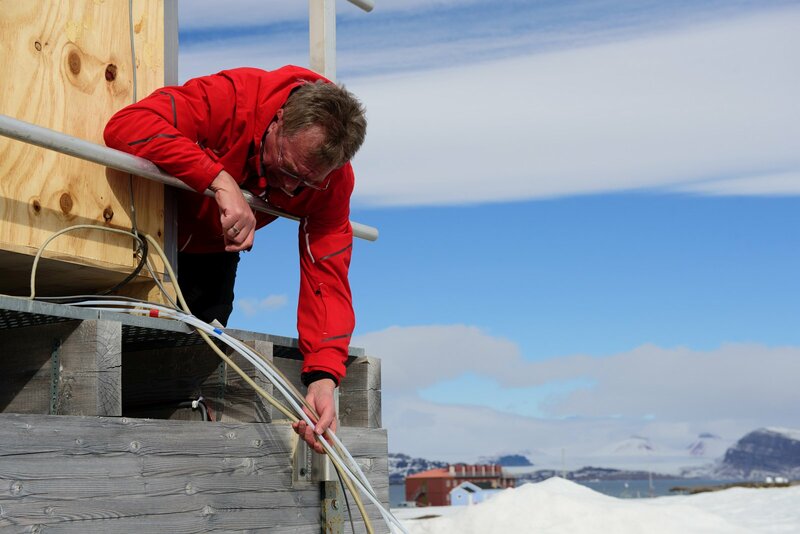 Temperature and water stress are currently changing in Polar Regions due to global warming, therefore how these organisms respond to these parameters is paramount to understanding how a changing climate will affect population structure and ecological performance of these key soil crust organisms. 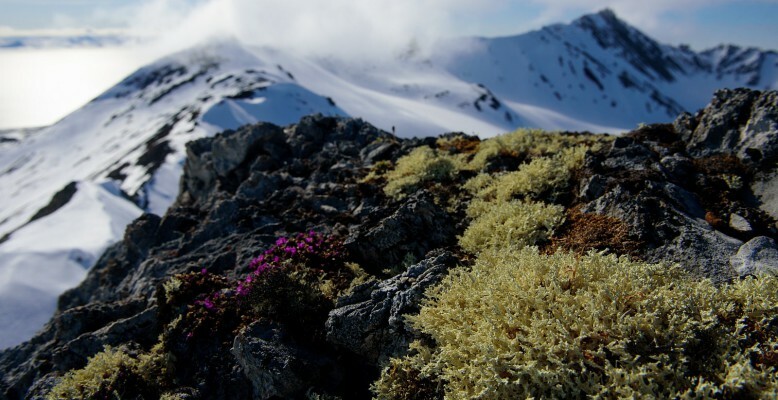 Microgreen algae and cyanobacteria are the building blocks of BSC, they stabilise the soil, increase water holding capacity and supply nutrients to the lichens, mosses and higher plants which can colonise the area once the cyanobacteria and algae have become established. 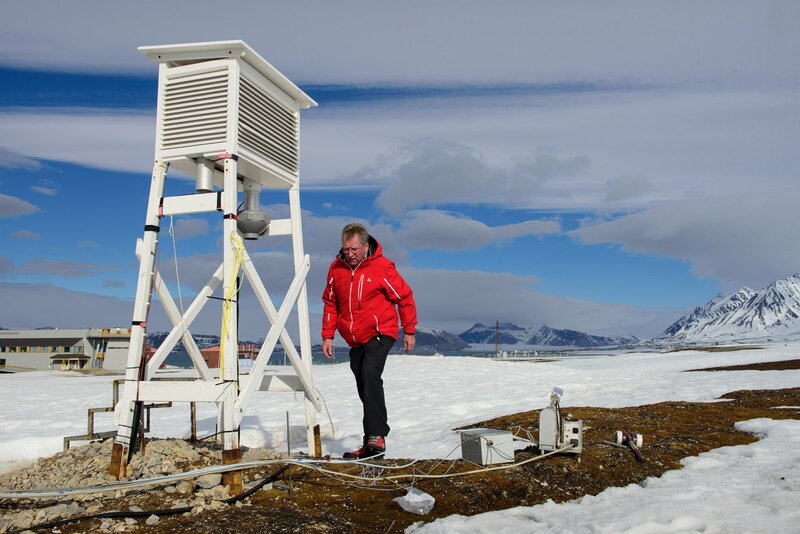 BSC occur in areas all over the world which are unsuitable for the majority of higher plant growth – deserts, alpine, and arctic ecosystems can all be dominated by BSC. They are extremely important for increasing biodiversity, fixing nitrogen and storing carbon, as well as preventing soil erosion and allowing colonisation of higher plants. 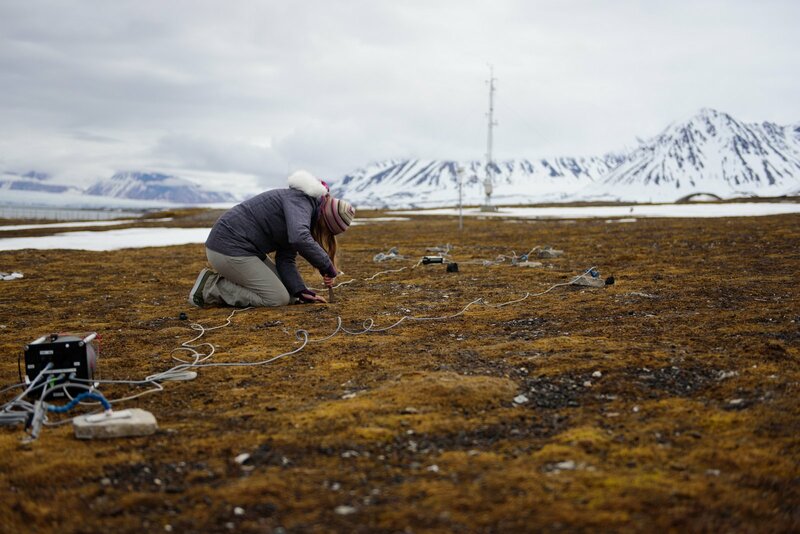 In August 2014 a team from the Universities of Kaiserslautern and Rostock, Germany headed to Svalbard to study the vegetation patterns and collect samples of BSC for analysis in our labs back home. 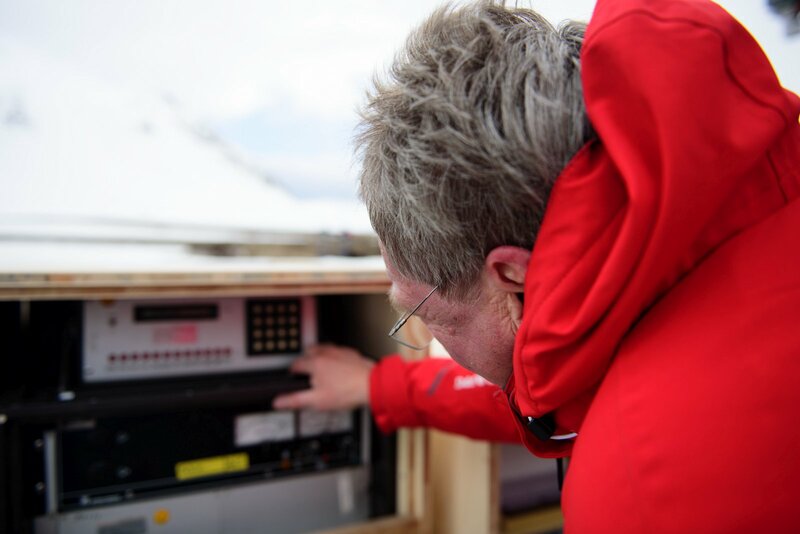 Whilst they were there they discovered that the coverage of BSC is extremely high, in some places up to 90 % of the soil surface is dominated by diverse and well established BSC. 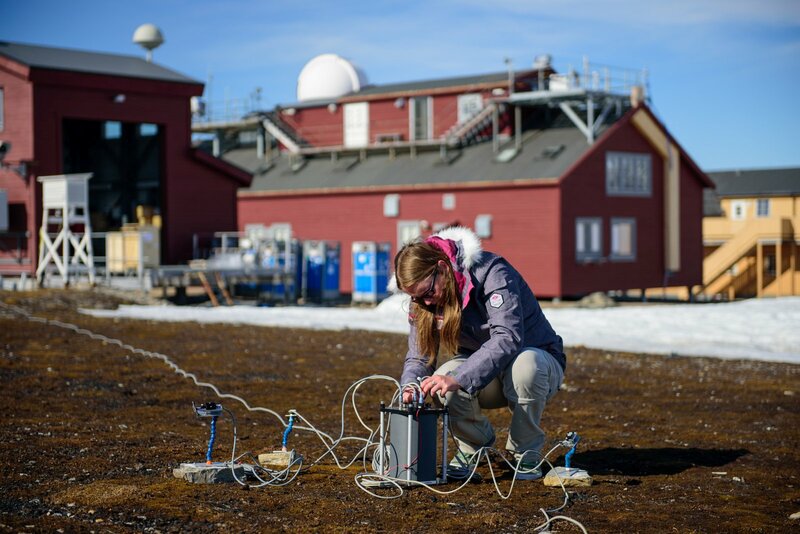 This led us to extend our project somewhat and include measurements that will allow us to calculate the exact seasonal CO2 fixation rates of the BSC. Everybody knows how important the carbon storage of the tropical rain forests and oceans are, however not many people realise that BSCs may in fact contribute ~6 % of annual global CO2 fixation and 10-40 % of annual global nitrogen input into ecosystems. These are huge figures considering many people in the world have never even heard of BSC or know that cyanobacteria and algae are also terrestrial organisms that are the backbone of many ecosystems. 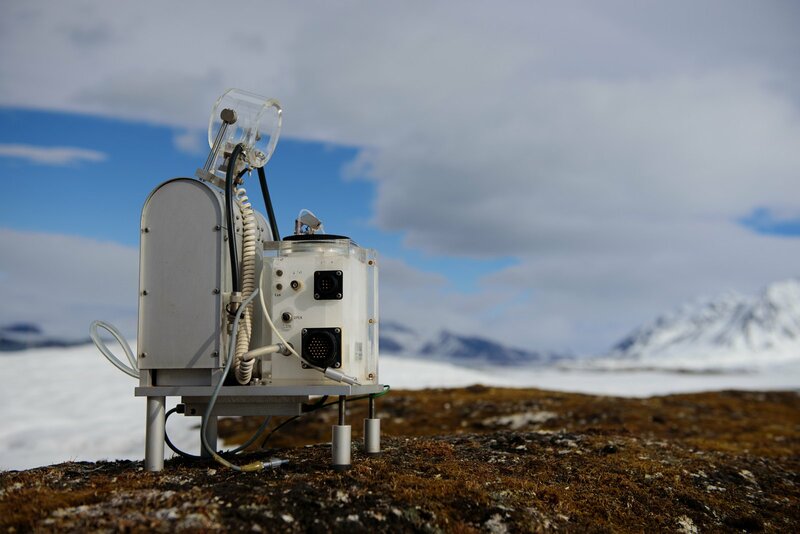 For 2 weeks in June this year Hans Reichenberger and I, Laura Williams, visited Ny-Ålesund to install chlorophyll fluorescence and CO2 gas exchange measuring devices. 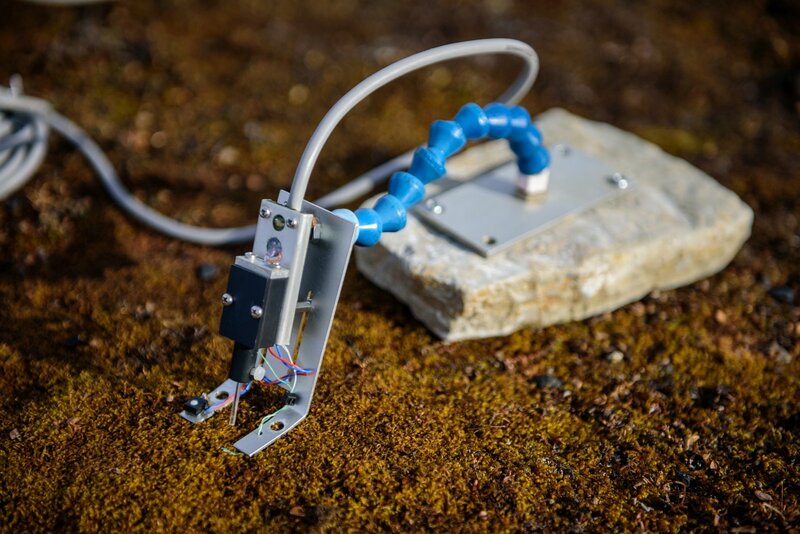 The MONI-DA is a chlorophyll fluorometer device that will allow us to collect data on when and to what extent the BSC organisms photosynthesise. There are 8 sensors that are placed directly on the crust surface and target dominant BSC functional groups, for example the cyanobacterial, lichen and moss crust types.This system creates little to no disturbance of the ecosystem and therefore the organisms can be monitored in their natural conditions, and even once they are covered in snow throughout the winter. 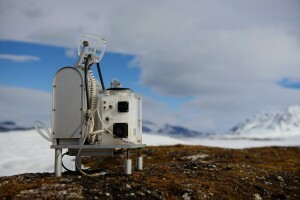 The KLAPP KUVETTE CO2 gas exchange device measures the uptake of CO2 and release of water of a sample of BSC that is placed within its system. 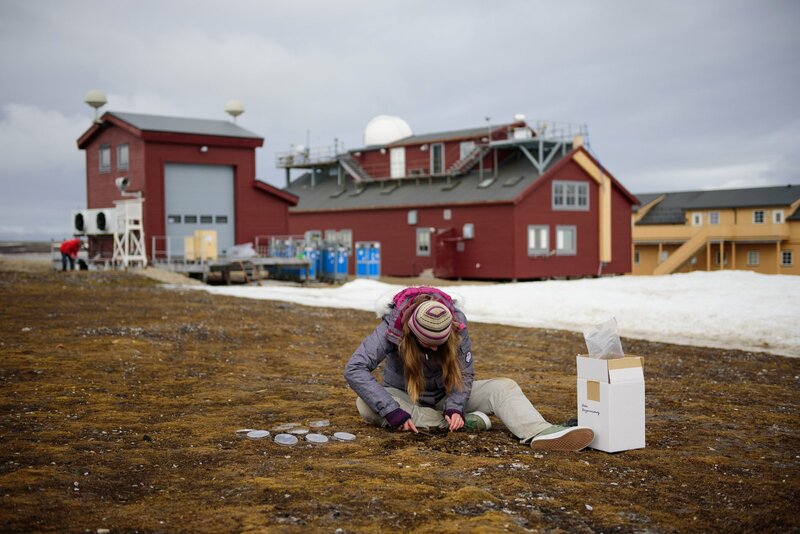 This will reveal important information regarding the photosynthetic conditions of the organisms, only one sample can be installed and therefore a sample that represents the BSC ecosystem of Ny-Ålesund was chosen. 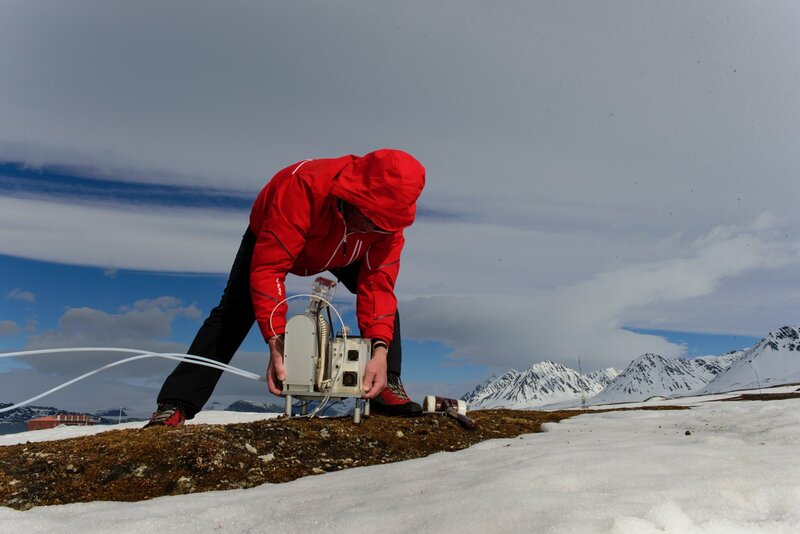 All the data we collect and analyse over the next year should help give us a much clearer understanding of how these important ecosystems function and will cope in the face of climate change.